A new report is urging the Chinese Government to focus on giving migrant workers and farmers a fair chance since the gap between the haves and have-nots has already become a threat toward the country's social harmony. 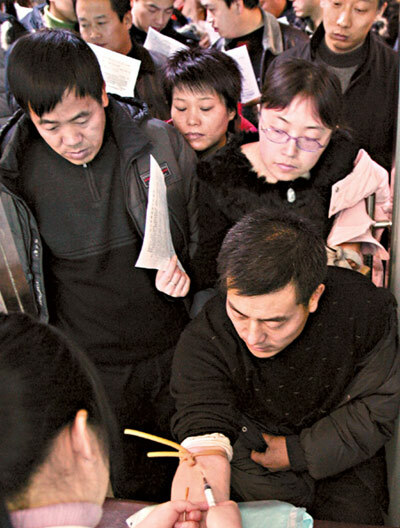 A set of policy suggestions to close the gap between them and other social groups in China was found in the China National Human Development Report 2005 released on Friday, which was commissioned by the United Nations Development Programme (UNDP). The government should take actions to ensure the punctual payment of salaries, provision of shelter, access to education for children, social security entitlements and union membership, the report said. "Achieving development with greater equity and ensuring that all people, including the disadvantaged groups, have equal opportunities and a decent life free from poverty should be the future focus of China's future development plans," said Khalid Malik, UN Resident Co-ordinator and UNDP Resident Representative in China, in an interview with China Daily. UNDP China expected the report, with the theme of "Towards Development with Equity," to become a major reference for the policy makers of the Chinese Government, which has been busy drafting its 11th Five-year (2006-10) Economic and Social Development Plan. 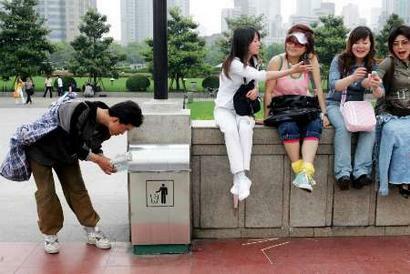 China has been trying to find a balance between efficiency and equality in income distribution. As the country's economy took off, however, priority was given to efficiency, and a huge number of farmers, migrants and even some urban labourers at the lower rungs of the social ladder have been economically affected, according to the report. Even in the relatively developed Pearl River Delta in South China's Guangdong Province, a migrant worker earns only around 700 yuan (US$85) per month. In Chinese rural areas, about 30 million people still live in poverty and 60 million live close to the national poverty line with an annual income of 637 yuan (US$79). The report said that it's of great importance to promote fairness in income distribution as a way to curb unstable factors that could endanger social stability and public security. China's Gini coefficient an internationally accepted measurement of income equality was estimated by some research organizations at 0.45 this year. The "alarm boundary" stands at 0.4. The coefficient was 0.30 in 1982 and 0.45 in 2002. Among the 131 countries in the UNDP's updated survey, only 31 countries are in a worse situation than China in terms of equality in income distribution. "We need to look at the problems and come up with constructive suggestions," said Lu Mai, secretary-general of the China Development Research Foundation. "It is high time for the government to target balanced social development as a major policy target as China is trying to quadruple its economy by 2020." Feel ease to the Gap?